Today is the summer solstice, and now it is officially summer here in North America. 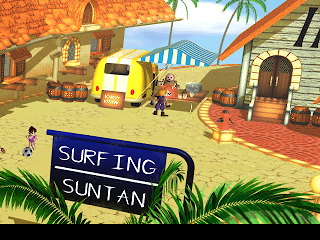 It seems like the perfect time to think fondly of some of our favorite summer areas in video games. Those steamy areas, those tropical locales, those sandy beaches, and those sparkling blue waters... Ah, this is the life. This top ten list features those summer vacation video game destinations that take us out of being stuck in the Midwest and takes us into virtual summer getaways. Ratchet & Clank's tourist attraction planet is Planet Pokitaru, which also makes an appearance as the first level of Ratchet & Clank: Size Matters. 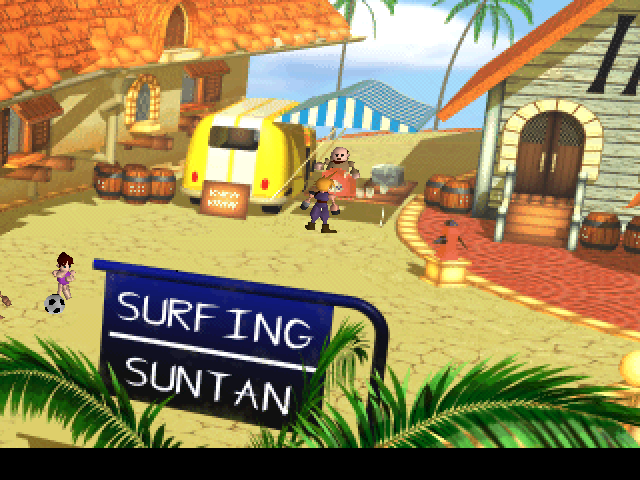 Its sunny shores might seem innocent enough at first, but then you have to deal with those orange fish, who unlike usual fish, the only biting they do is not onto fishing lines, but Ratchet himself! Planet Pokitaru offers the rare opporunity for Ratchet to actually swim in the surrounding pollution-free water instead of getting eaten whole by some aquatic life as soon as he steps inside. Throw in some aerial dog-fighting in the cheery sky, and you have a planet that makes for a load of fun and a joy to play. Ah, the seaside paradise of Altamira... Such beauty, this city that sits on its own isle. This sun-soaked city is full of locales, such as being the home of the Lezareno Company. Altamira also contains a grand beach-- ripe with places to sit back, relax and tan (doing too much of the latter is not recommended)-- a resort, a theme park, and a hotel. To say there is something for everyone at Altamira is a definitely safe thing to say. 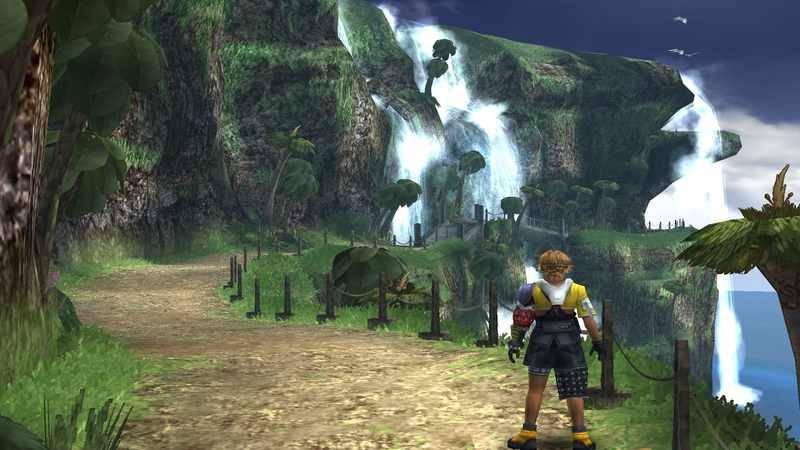 Lloyd Irving's party heads to Altamira in the second half of Tales of Symphonia, and it is such a beautiful paradise that leaving it is very hard to do, especially if you're next destination is some dank and dark dungeon. When Dixie and Kiddy Kong aren't busy trying to take down the new mechanical menace simply known as Kaos, they unwind in good old Lake Orangatanga, the first world of Donkey Kong County 3: Dixie Kong's Double Trouble. This world reminds us of summer camp, only without the reading of dirty magazines and giggling. 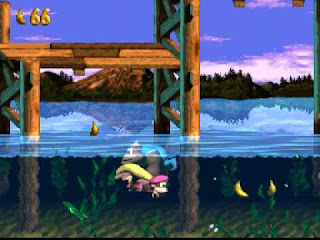 The outdoor levels are generally set on wooden docks and planks, with the lake waters below. 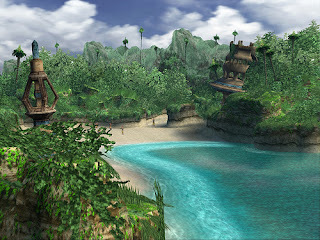 It's a nice setting, especially compared to the darker levels of Donkey Kong Country 2. Lake Orangatanga is the type of watering hole we would love to stop at. Recently put back into the limelight with its inclusion as a retro cup track in Mario Kart 7, Koopa Troopa Beach is the third course of the Mushroom Cup in Mario Kart 64, the four-player multiplayer classic. 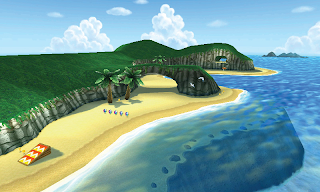 From the flocks of seagulls that fly around the skies of the island to the crabs that scamper across the beach sands, Koopa Troopa Beach features plenty of summer excitement. The rock structure in the center of the island that reveals itself to look just like the profile of a Koopa Troopa makes for a stunning sight when you finally see it for yourself (most likely in the game's credits sequence). The shortcut found by taking a ramp and leaping into a cavern is not for the faint of heart. Though pulling it off will definitely earn you some mad props. 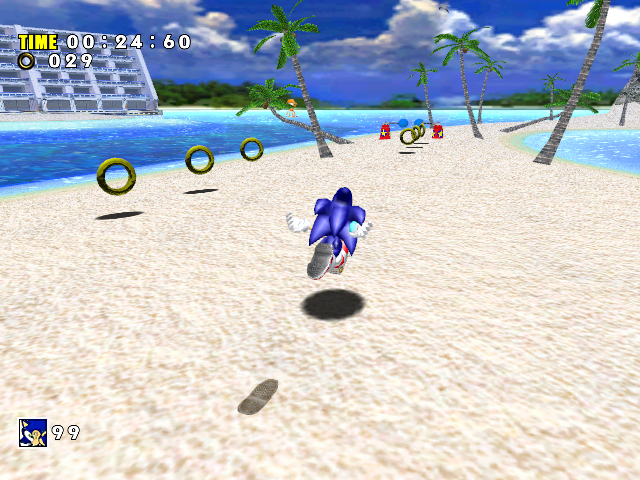 Koopa Troopa Beach is an excellent tropical course, but it's not Mario Kart's best. 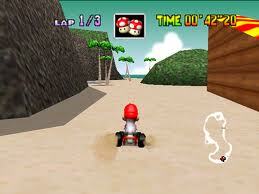 No, our favorite tropical track from the Mario Kart franchise comes from Mario Kart: Double Dash!! 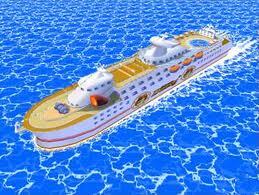 It's Daisy's themed course, a cruise liner fit for some fast and furious racing action. The start of the track allows players to choose to go to the left or right. Regardless of which path they select, the track reconvenes, having players circle around a swimming pool. Then comes a trip to the lower deck, where tables slide back and forth in the main lobby, getting in racers' ways if they aren't careful. An optional path takes players even deeper into the ship, shooting them out of a cannon. A final large bend leads to a stairway leading up. Just be sure to dodge the life rings that hang over the track. This cheerful track feels so totally summer, and it's a track that we wouldn't mind spending our lazy summer days on. 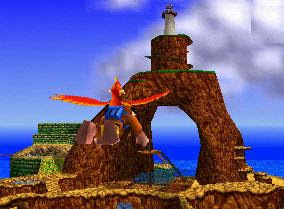 The second major level in one of the greatest 3D platformers of all time, Banjo-Kazooie, is Treasure Trove Cove, a level set on a beach, surrounded by an ocean infested with one dangerous shark, tropical palm trees, cliffs to climb on, an isle with a lighthouse at its very top, a sandcastle that houses a word puzzle, and an unlucky shipwrecked pirate who just wants to return to the sea. Don't forget about Nipper, a very snap-happy crab who holds onto one of ten Jiggies Banjo and Kazooie need to obtain. 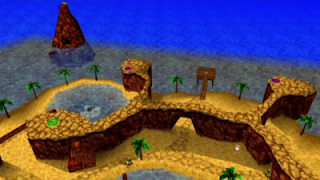 Treasure Trove Cove is also worth mentioning not just because it is a vacation destination like no other in the Banjo-Kazooie series, but it's also the first place the bear and bird learn to fly. 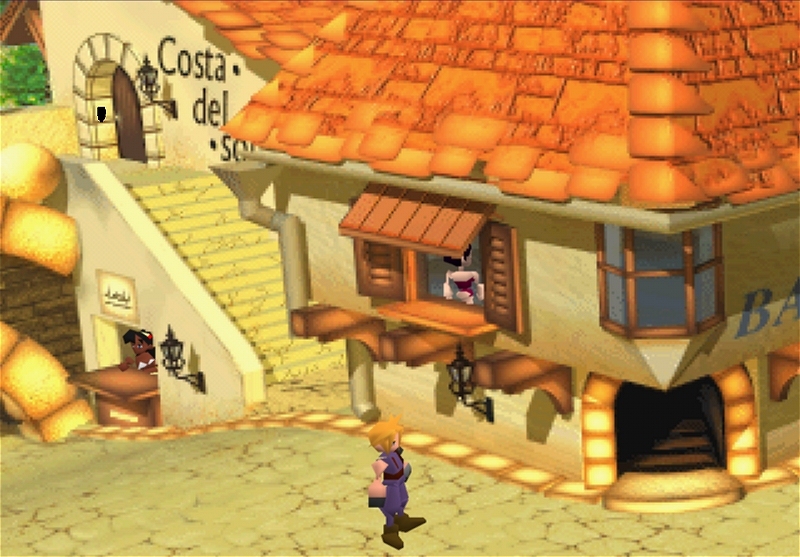 Welcome to Final Fantasy VII's sunny coastal town, Costa del Sol, serving as a port for those sailing in from Junon. After the mechanical, industrial nature of the latter, seeing a sun-drenched beach resort town is as refreshing as a tonic on a hot summer's day. In Costa del Sol, Cloud Strife and his party are able to purchase President Shinra's summer home. All that is required is a 300,000 gil payment. Chump change when you're picking all that gil off the dead carcasses of all the monsters you slay! Though the mission to follow the trail of and find Sephiroth is pressing on Cloud and friends' minds, there's no harm in lounging around just a little bit, right? 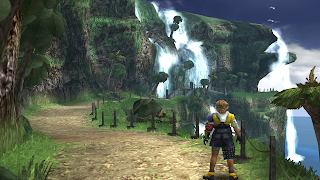 From one Final Fantasy game to another, we look at Final Fantasy X's Besaid Island. Sure, the world of Final Fantasy X is in deep doo-doo, what, with a colossal creature named Sin threatening its very existence, but Besaid Island is a tropical destination to indulge in the warm climate and sea breezes nonetheless. It is here that our happy-go-lucky and extremely cheerful Final Fantasy X protagonist meets up with most of the members of his party. Throw in some sublime sights like cliffs covered with lush greenery and waterfalls, sandy beaches and steamy jungles, and you have a nice place to get away from it all. Just be sure to return to saving the world sometime soon! 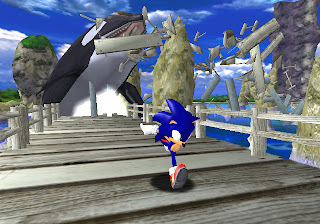 The first fully 3D Sonic (so no Sonic 3D Blast), Sonic Adventure really wowed us when it debuted with SEGA's final home console, the SEGA Dreamcast. Its introductory level was a visually appealing, fast romp through beautiful beaches, past wooded docks and through the glorious natural architecture of the stone cliffs. By far the most memorable section of Emerald Coast was the Blue Blur being chased by a killer whale, which pursued Sonic closely, smashing the wooden planks he had just crossed over. And how could you not fall in love with the music of this magical place? 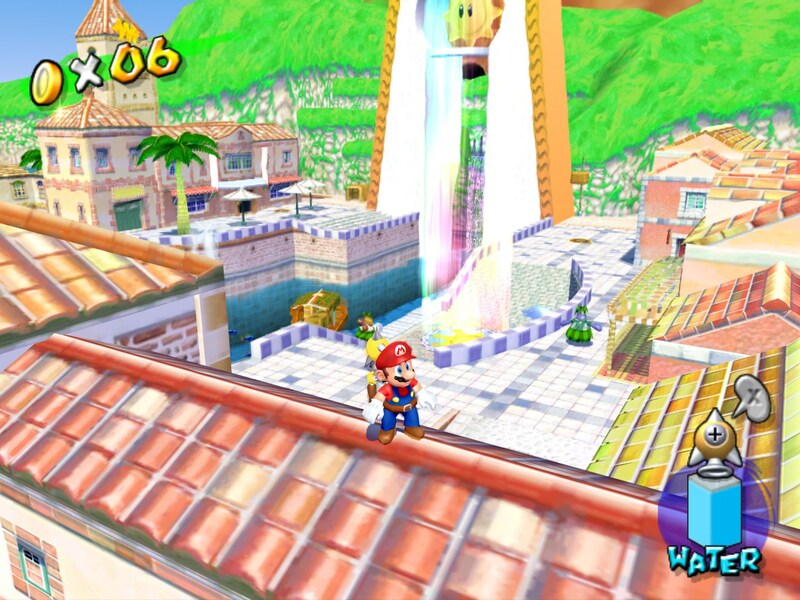 Though not as wonderful of a 3D Mario game as we would have liked, Super Mario Sunshine contains one of the most satisfying summer locales in gaming history, Isle Delfino. 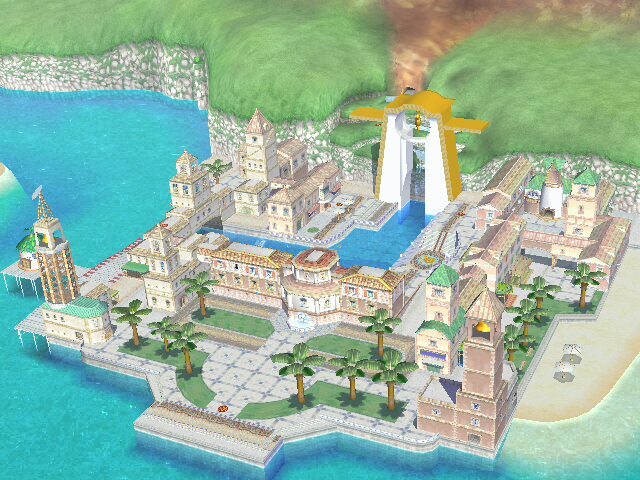 While some may quickly grow tired of every level being focused around a tropical theme, Isle Delfino is a terrific place for some summer fun. Sure, Mario's vacation isn't so grand. He's locked up and falsely charged with cleaning up the goop on the island, but the player gets a round of platforming entertainment so it makes up for Mario's work. 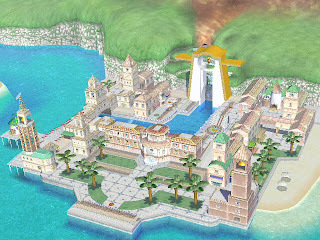 Delfino Plaza is the main hub of Super Mario Sunshine, and it is a favorite hub world of ours. Boats come in and out, the sun shines brightly on the city streets and washed out buildings, and the crystal clear water is perfect for taking a nice dip in. 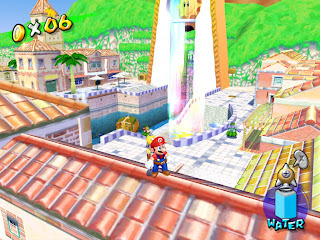 Other locales on Isle Delfino like Bianco Hills, Ricco Harbor, Gelato Beach and Pinna Park, the amusement park destination, all make the island a remarkable place, and our choice for best summer vacation video game destination. That completes our choices of favorite summer vacation video game destinations, but what are some of yours? Let us know in the comments section. Now, excuse us, as we get our tans on!